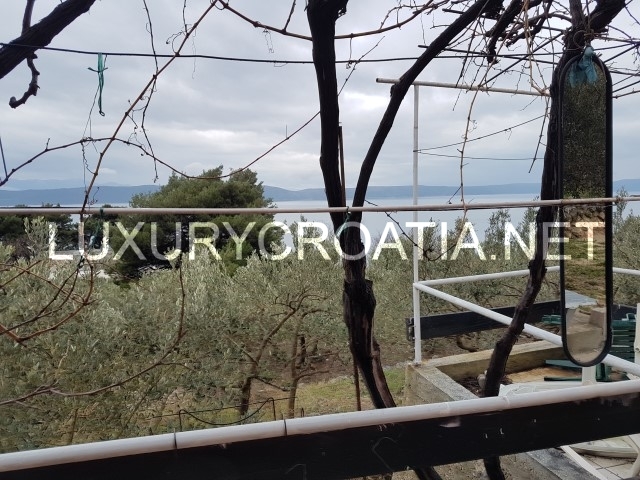 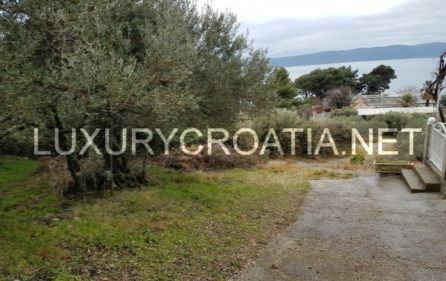 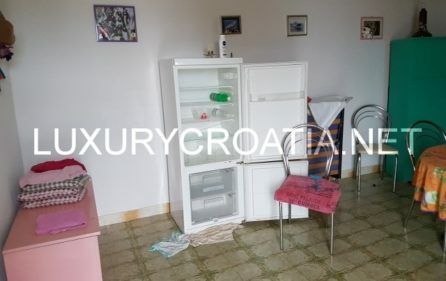 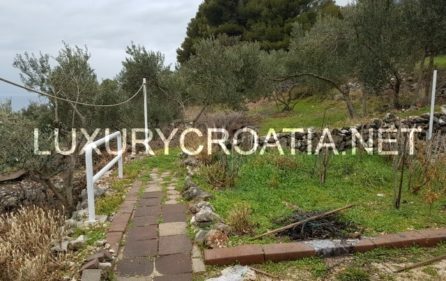 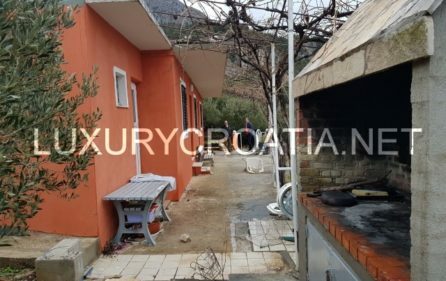 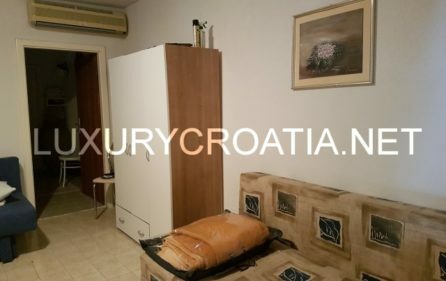 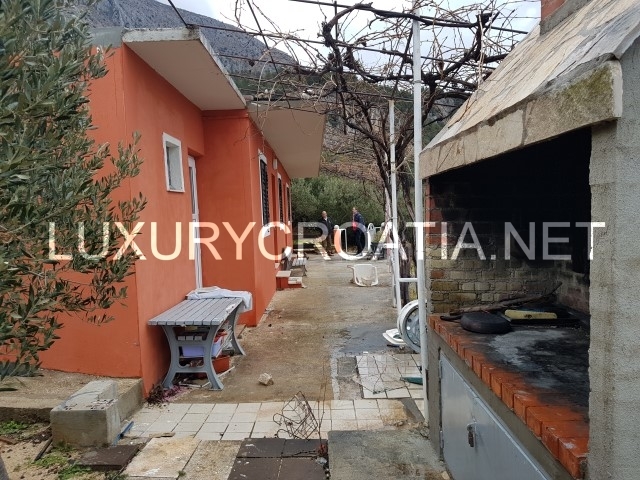 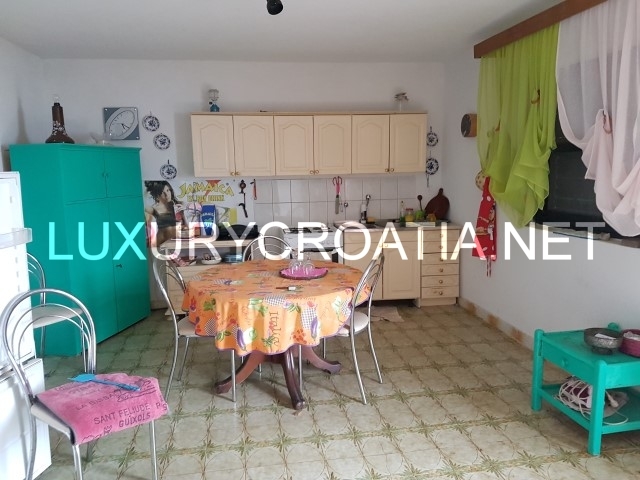 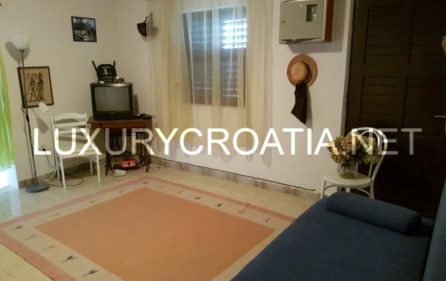 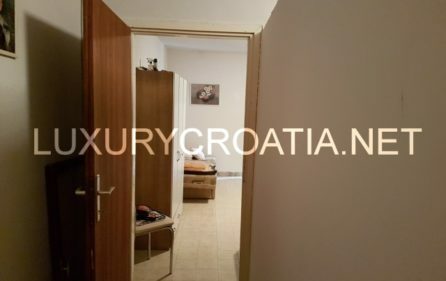 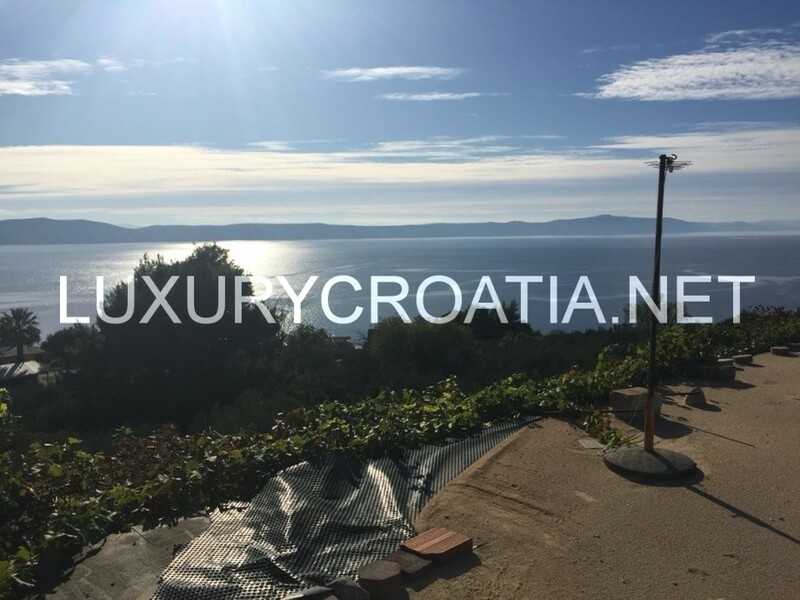 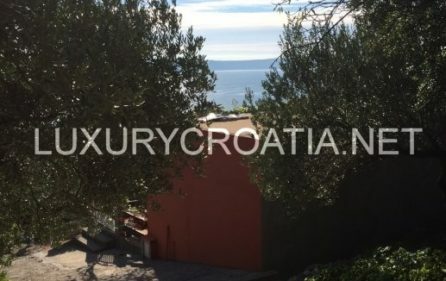 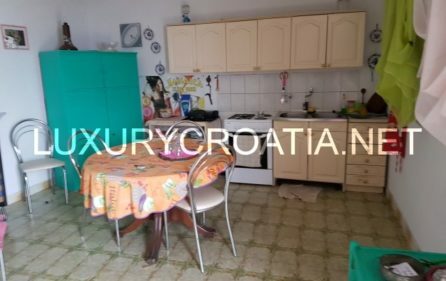 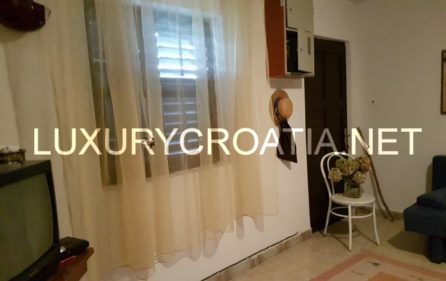 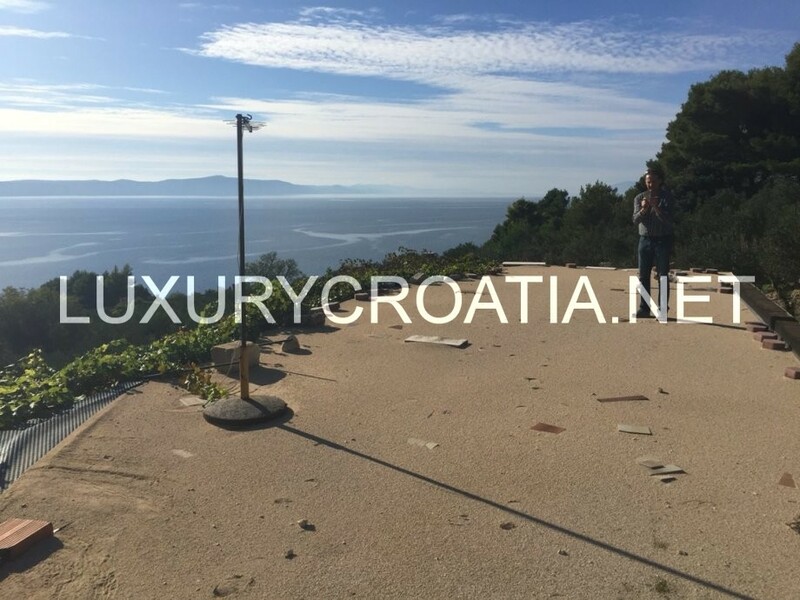 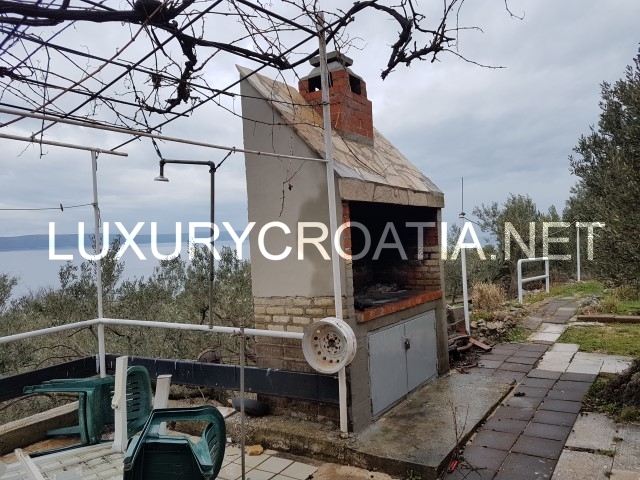 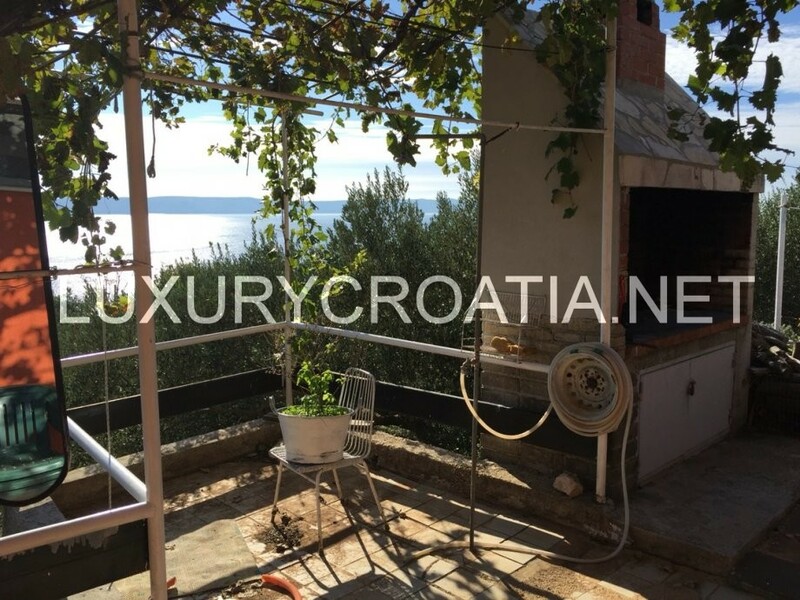 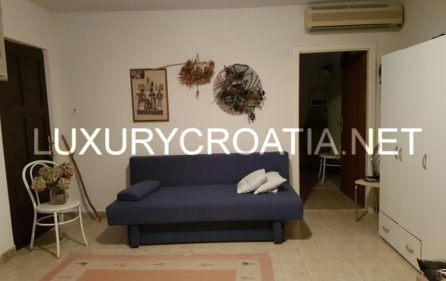 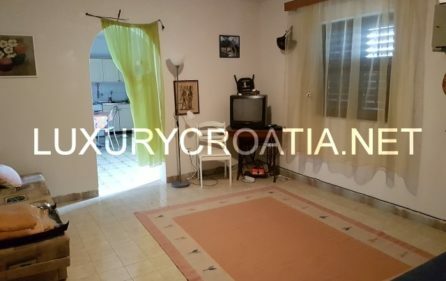 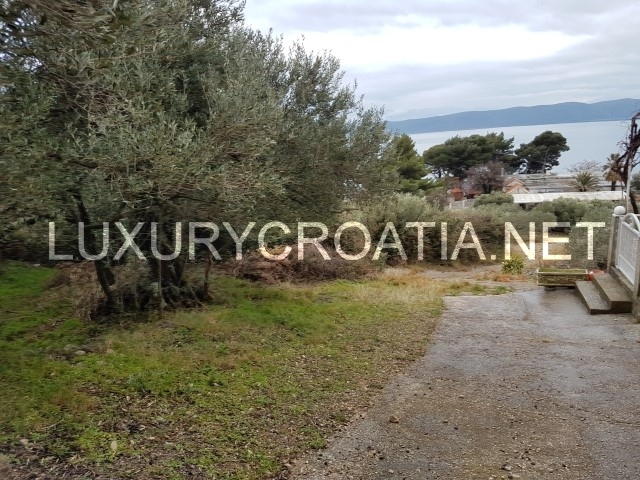 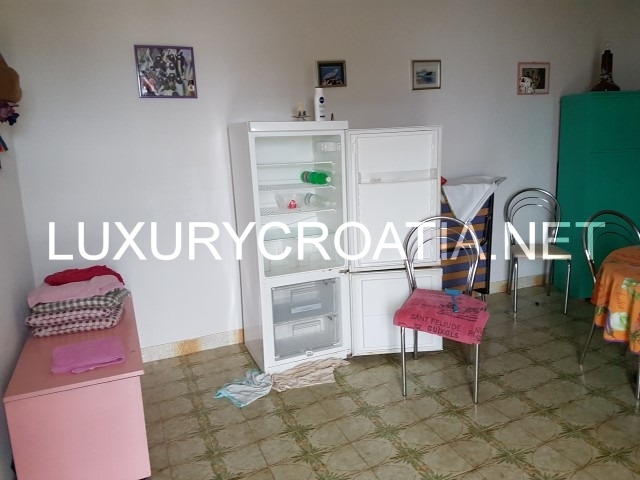 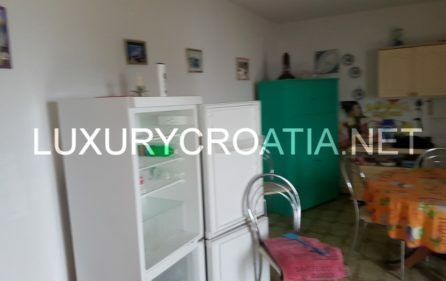 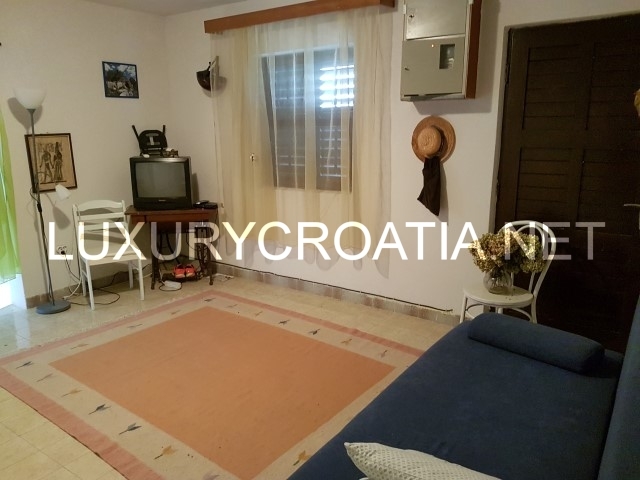 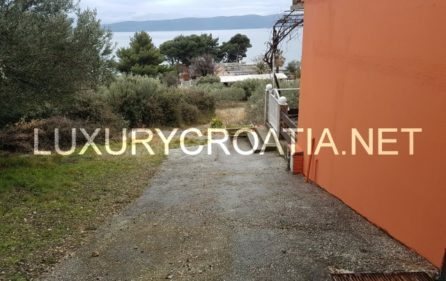 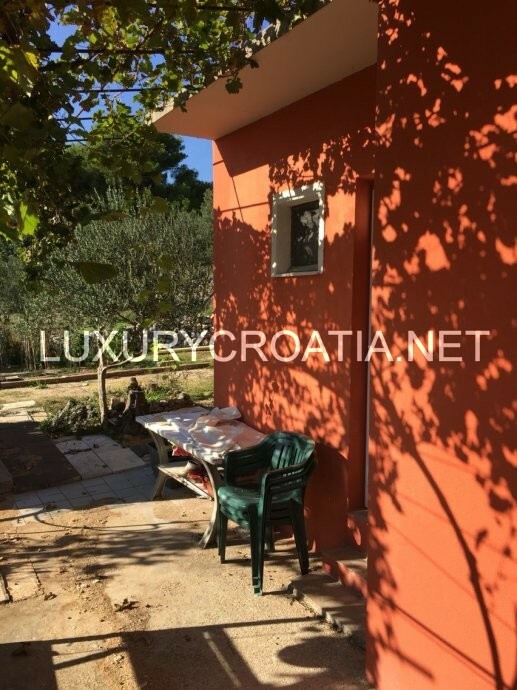 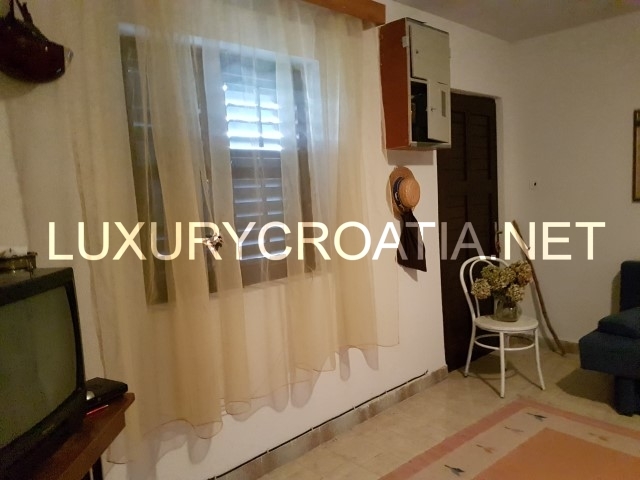 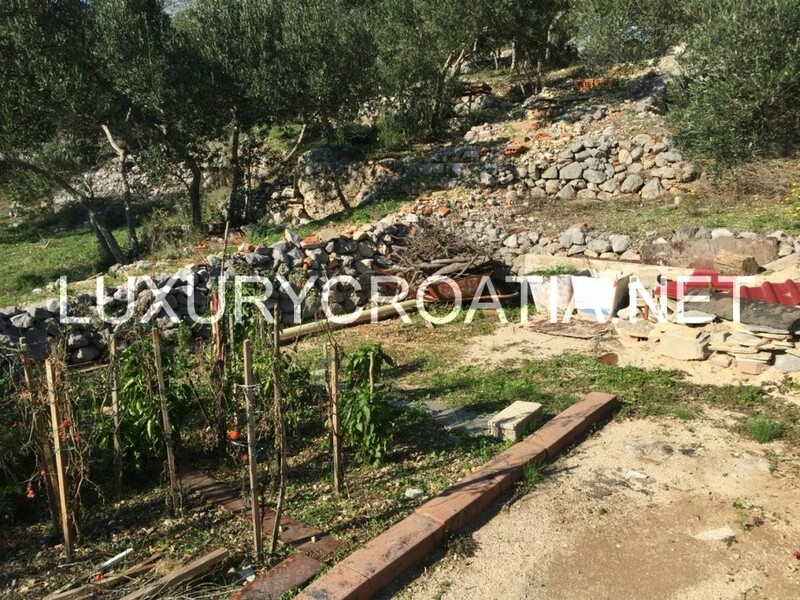 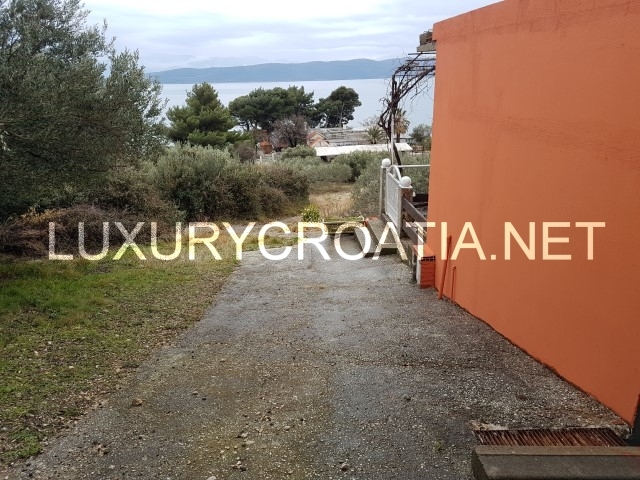 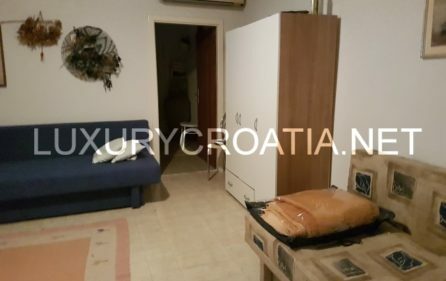 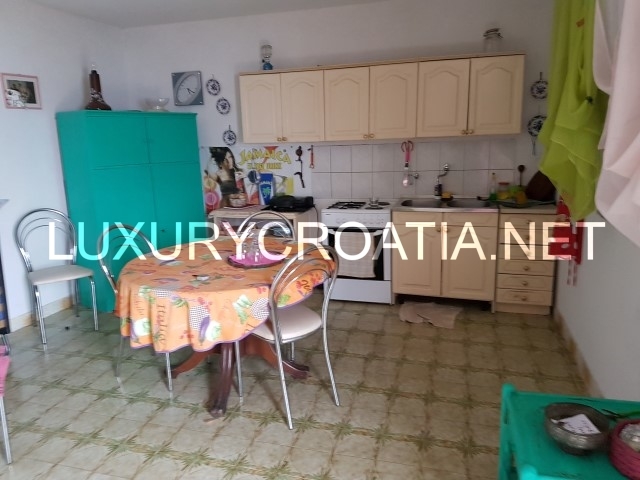 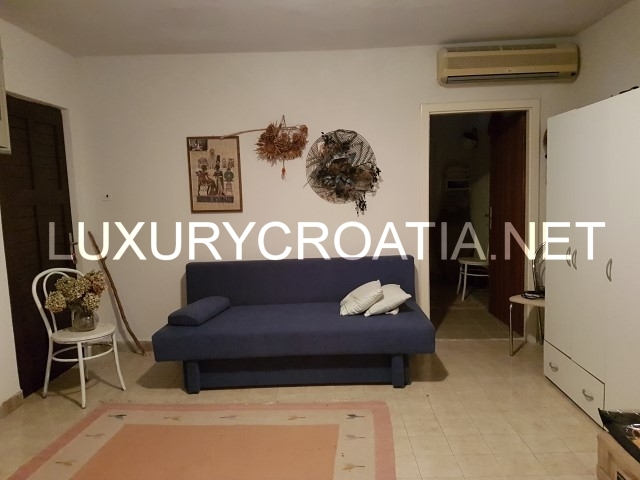 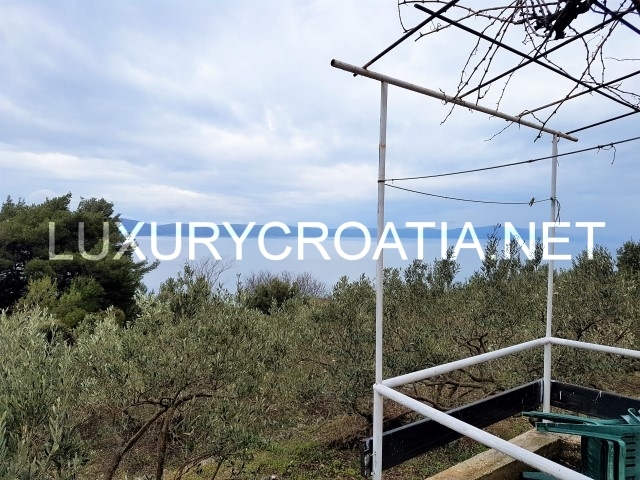 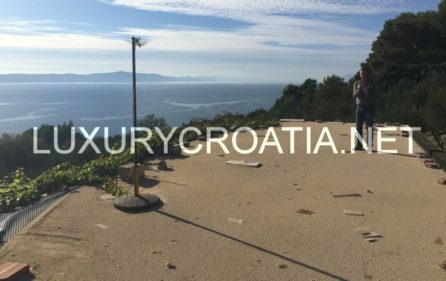 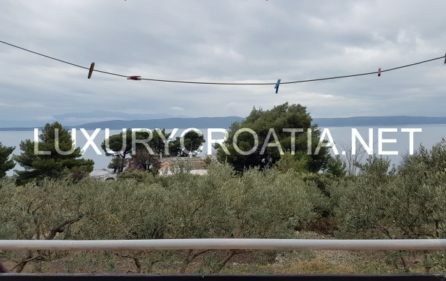 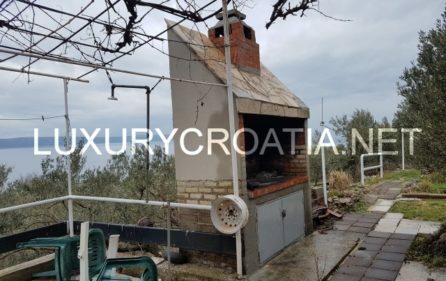 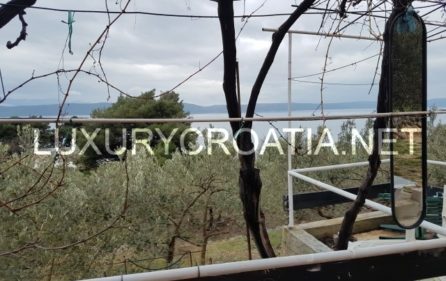 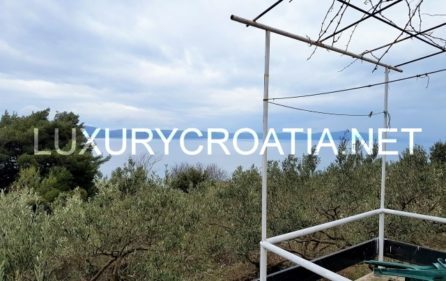 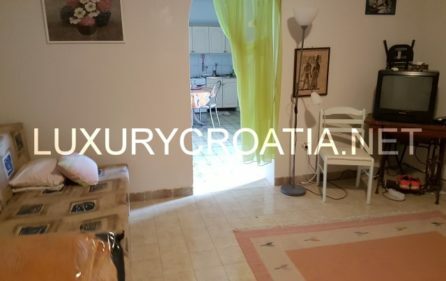 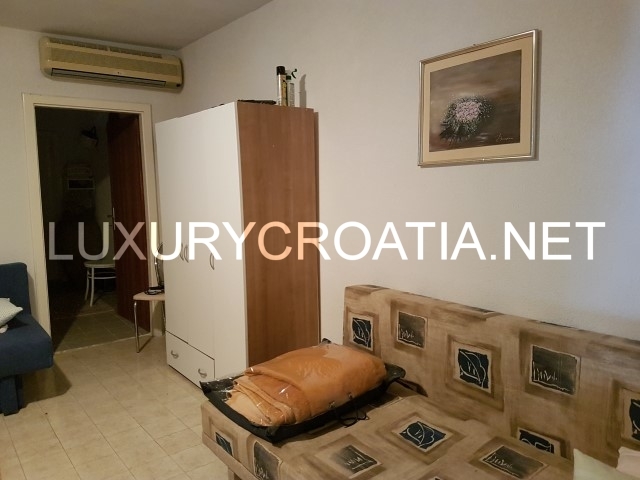 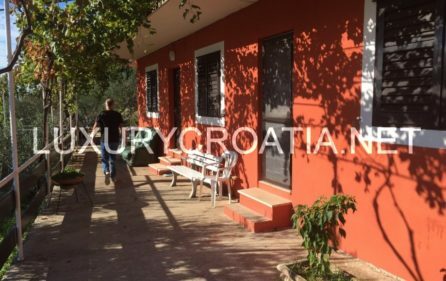 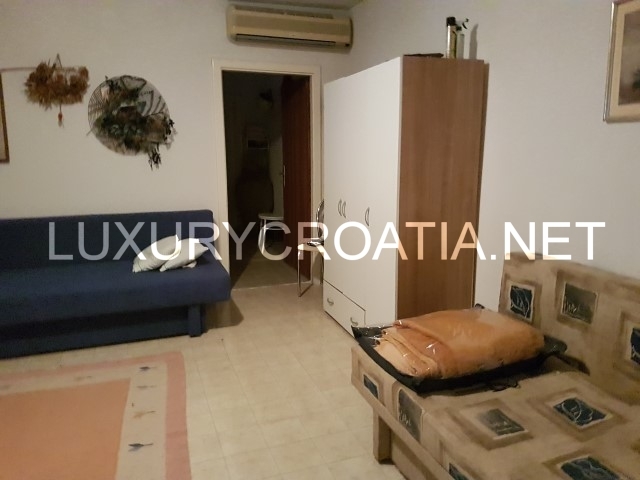 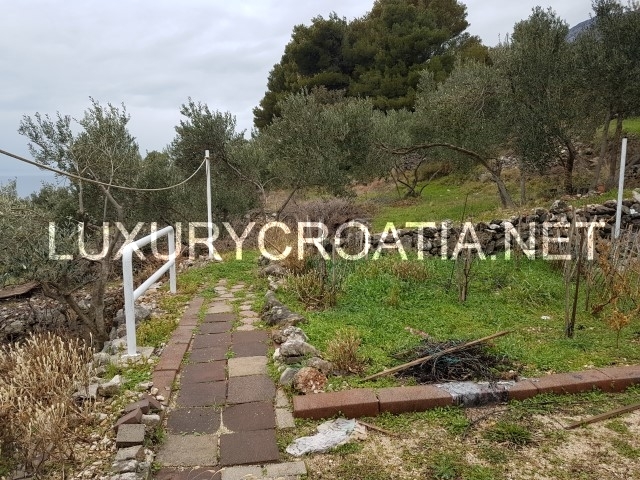 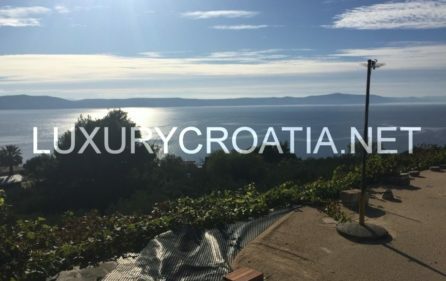 Sea view holiday house for sale, Makarska riviera – Charming seaside holiday house with beautiful panoramic view on the sea and the islands, south oriented, sunny all day, 300 m to the sea and beautiful pebble beach, in peaceful area, with lots of greenery around. 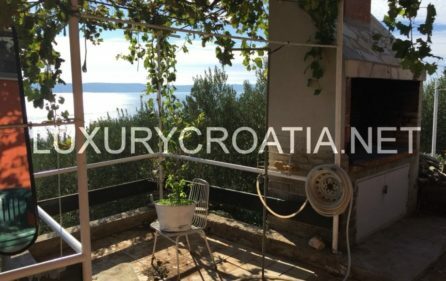 It has everything you need for vacation home with family and friends. 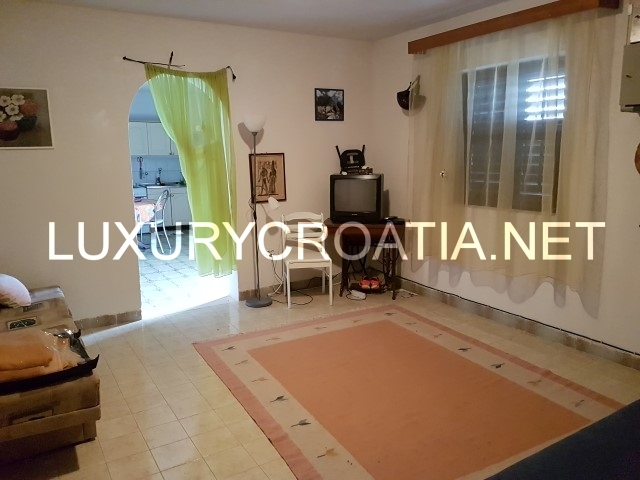 Living area of this detached house is 80 m2. 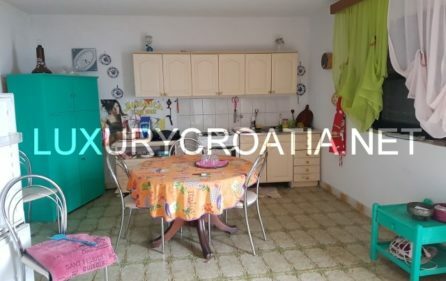 It consists of ground floor with 2 bedrooms, comfortable bathroom, and spacious kitchen. 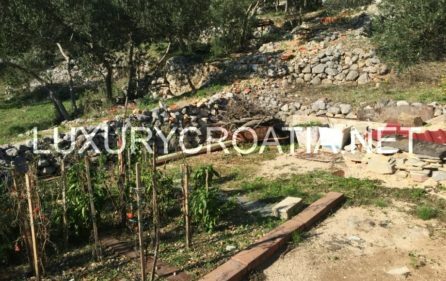 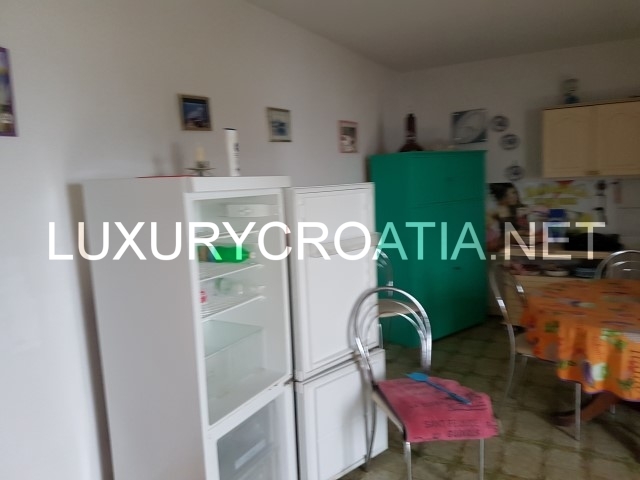 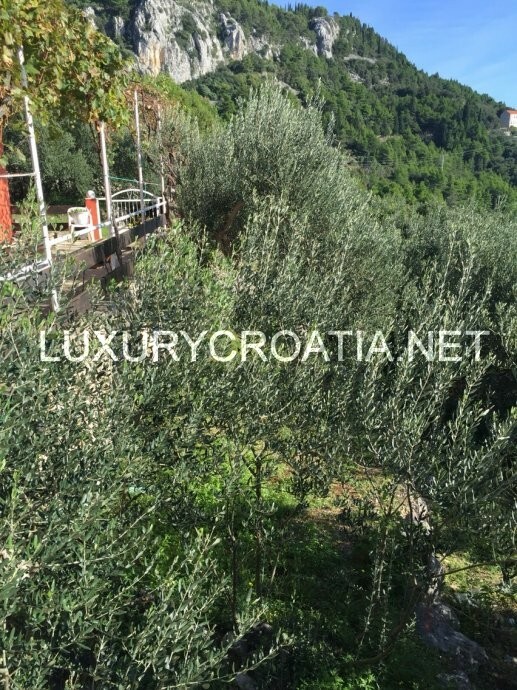 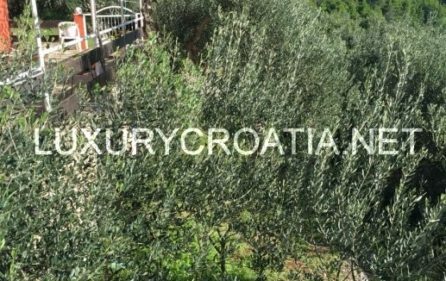 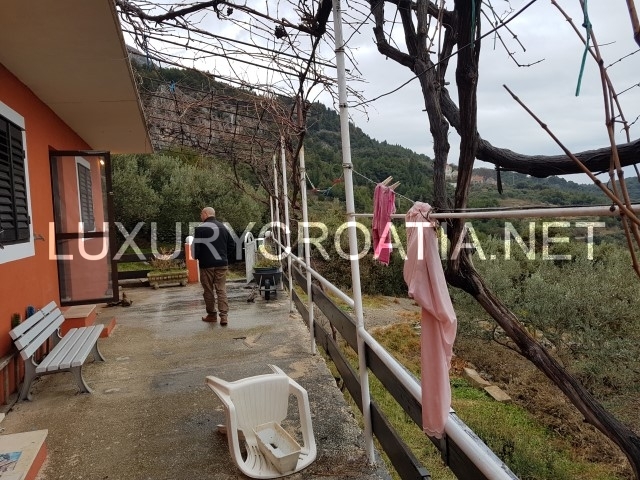 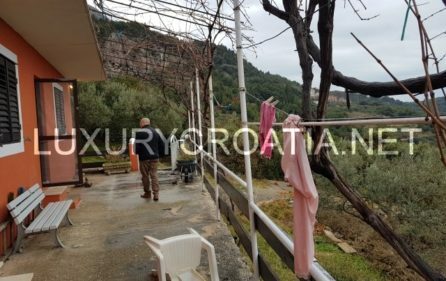 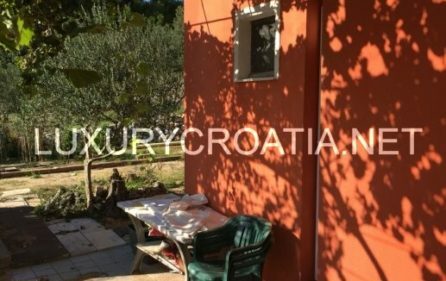 House has surrounding area of 250 m2 with lovely garden, olive trees and tomatoes, barbecue, summer kitchen, covered parking place. 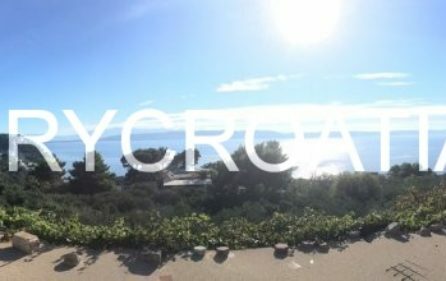 There is enough space to park 4 cars. 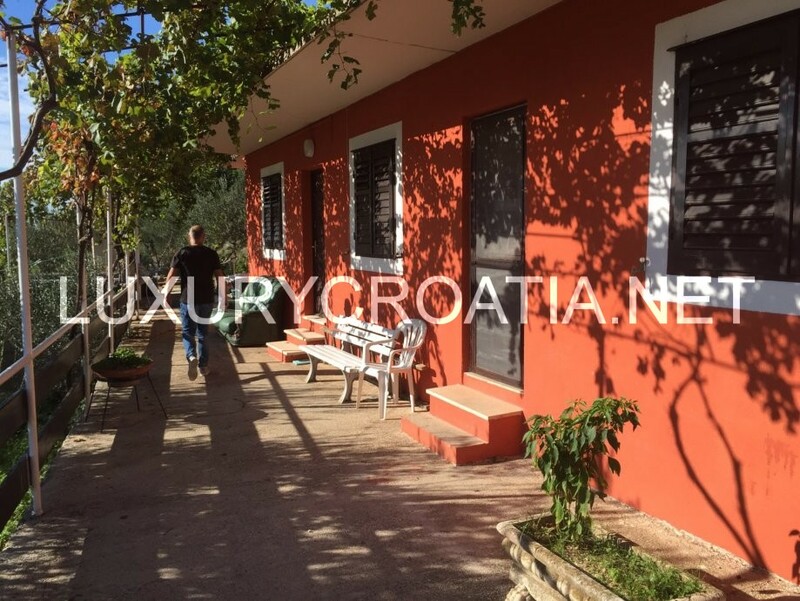 The house was built in 1988 and adapted in 2000, ownership 1/1. 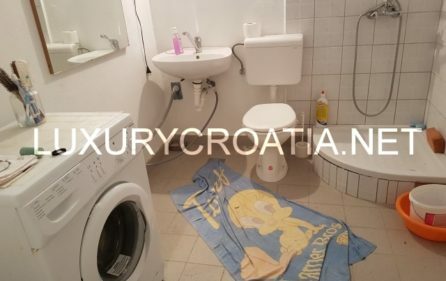 There is electricity and city water, sewage – septic tank. 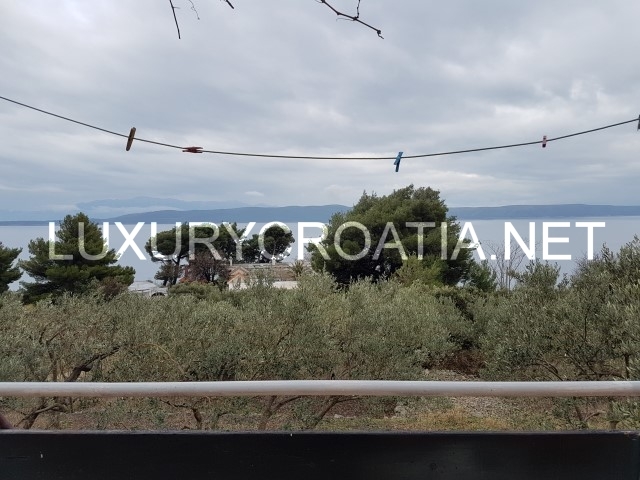 Center of Makarska is an old town with narrow stone-paved streets, a main church square where there is a flower and fruit market, and a Franciscan monastery that houses a sea shell collection featuring a giant clam shell. 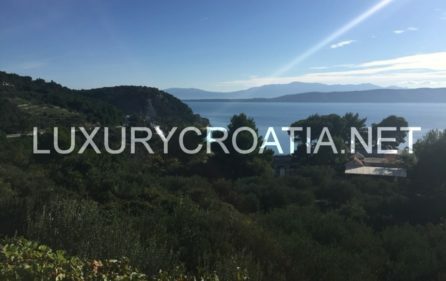 Most of the city’s hotels are located just off of the bay and their own private beaches.